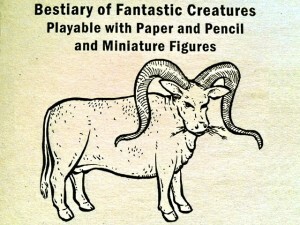 Casey Sorrow launched a Kickstarter campaign for An Illustrated Bestiary of Fantastic Creatures. It's well-suited to any fantasy RPG game. The Bestiary of Fantastic Creatures will be a small, but thorough, collection of some of my illustrated creatures created in the last year. The bestiary will be written in such a way as to make the creatures easily adaptable to most tabletop role-playing games, rules and stats will be based on adapting the Open Gaming License and retro-cloning. The creatures will be a combination of completely new creatures and variations of already existing creatures. Some will be ridiculously bizarre, others uniquely clever (I hope), and still others with just a splash of dark humor.